The global optical microscope market is expected to display a positive growth outlook in the coming years. New production methodologies have led to easier manufacture and assembly of optical microscopes in recent years. Optical microscopes are of two types, simple microscope that use a single lens and compound microscope that uses many lenses. The increasing number of educational institutions worldwide for primary and secondary education has augmented the demand for experimental instruments that includes optical microscope as well. Optical microscopy involves viewing a sample closely through magnifying a lens with visible light. Optical microscopy is the traditional form of microscopy that is in use till date since its inception before the 18th century. Optical microscopy is used across several research areas such as microbiology, nanophysics, pharmaceutical research, microelectronics, and biotechnology. It is also used to view biological samples for diagnosis of medical conditions. Optical microscopes are used to view small objects such as cells. An optical microscope can produce a micrograph with the help of standard light-sensitive cameras. It does not offer the highest degree of magnification thus offers limited structures for viewing cells. For example in cells, viewing of organelles such as lysosomes, ribosomes, Golgi apparatus, and cytoskeleton is limited. Other limitations of optical microscope include inability to produce an image if the wavelength of the object is smaller than that of light. Cell components are generally transparent and thus need to be stained to view them. However, with enhancement in technology resolution and clarity have been maximized over the years to deliver a more precise image. Optical microscope also known as light microscope, uses lenses and visible light to magnify small images. Optical microscope is widely used by scientific community to view dead or living samples. Originally, simple optical microscope used only one magnifying lens. The modern optical microscopes can use more than two lenses. The principal technique involved in optical microscope is expansion of beam of laser light to make the greatest use of optics. Optical microscopes are expected to remain essential tools for cell biology in near future. Increase in technological revolutions is driven by research and development activities. Growing spotlight on nanotechnology in the field of life science, semiconductors, and material science is expected to drive the optical microscope market. However, low magnifying resolution is the major disadvantage of light microscope. The wavelength of visible light is great, hence it doesn’t permit scientist to view large molecules. Focus on increasing the resolving powers of optical microscope and increase in research methods based on laser technologies will result into complete transition of microscope. Evolution of digital microscope is expected to boost the optical microscope market. Moreover, advancement in technologies is stimulating creation of new optoelectronics, motorized, and digital systems of optical microscope. Based on type, optical microscope is segmented into inverted microscope, research microscope, metallurgical microscope, measuring microscope, and digital microscope. The major application areas of optical microscope include nanotechnology, material sciences, life sciences and semiconductors among others. On the basis of end user, the optical microscope market is classified into academic institutions, industries. Increase in government funding for research purpose, growing research and development in the field of neuroscience, optogentics, and nanotechnology, are a few factors that have attributed to the emergence of academic institutions as the major end users of the optical microscope market. North America held the largest share of the optical microscopes market owing to heavy investment in research and development activities. South American countries such as Chile, Peru, Brazil, and Mexico are witnessing increase in manufacturing facilities. In addition, new colleges, institutes, and labs in this region are contributing to the growth of Optical Microscope Market. Emerging markets such as Asia Pacific, and the Middle East provide growth opportunities to players in the optical microscope market. With existence of a few leading vendors in the global optical microscope market, the competition has become intense. The vendors are competing on the basis of quality and specifications of the microscope like associated software, magnification power, features, pricing, and product performance. Increased investment in R&D, particularly in the pharmaceutical, healthcare, and electronics sectors, has augmented the competition. 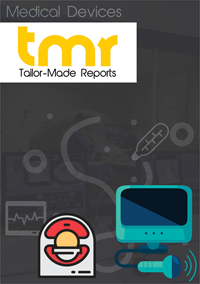 The key players in the optical microscope market include Danish Micro Engineering, Olympus Corporation, Nikon Corporation, Leica Microsystems, JEOL Ltd., Hitachi High Technologies Ltd, KLA Tencor, FEI Company, Bruker Corporation, Agilent technologies Inc, and Carl Zeiss AG.